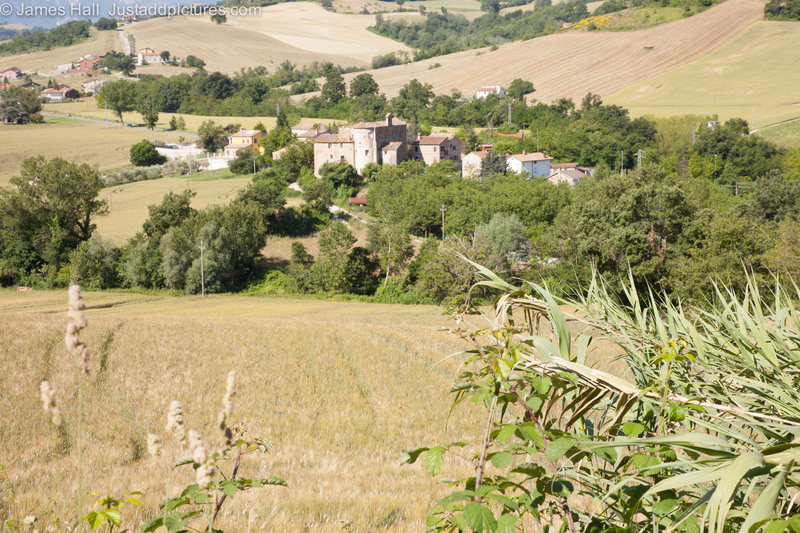 The tiny village of Macchie nestles by the main road in the valley beneath San Ginesio. It is dominated by the C11 Romanesque church of Santa Maria di Macchie which looks from this angle more like a Romanesque apartment block than a church. It’s outsize appearance in the context of this small village is explained by the fact that it once formed part of a Benedictine abbey. Posted in Italy, Landscape and tagged landscape photography, Macchie, photography, photos, San Ginesio. Bookmark the permalink.